Is The Universe Giving You The Green Light? 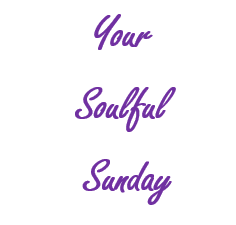 As our series, Your Soulful Sunday continues, enjoy this article from Mind Body Green. Do you ever wonder about your future? Will you ever get that Big break? Is all my hard work paying off? Will I ever find that perfect position? Will I ever just be one with my soul? Lots of questions. Are you watching out for all the right signs? Would you even know what to look for? This Your Soulful Sunday article by Tanya Richardson, should help answer some of your questions. Ever wondered if the universe was giving you the green light? Maybe it is. Say you’re trying to decide if you should ask your boss for a raise or more flexible hours. And then, when you’re on your lunch break, you come across an article about how it’s important to be assertive and ask for what you deserve. In big and small ways, the universe will actively encourage us to go after something if it’s in our highest good. 1. An opportunity comes out of the blue. Have you had a business opportunity, or any opportunity, show up in your life out of left field? Maybe someone offers you a job when you weren’t looking to switch jobs…or maybe someone just offers you a free ticket to a weekend workshop on a topic you had never considered studying. Humans can forget that we’re not orchestrating everything. Yes, our intentions and actions and attitudes help co-create our reality, but there is also a larger intelligence, which we can call the universe, at work. If an opportunity comes to you and you had almost nothing to do with making it happen, this could be an assist from the universe. You don’t have to say yes, but you should definitely consider it. 2. You receive an increase in synchronicities. Carl Jung defined synchronicities as meaningful coincidences. In my book Angel Insights, I explain that the universe and your spirit guides are constantly sending signs or synchronicities (things that appear random but actually hold deeper meaning) to help you live at your highest potential. Synchronicities are how the universe talks to you directly. You’ll often get an intuitive feeling when something is actually a sign.